Jane took Silk in 2015 and specialises in construction, engineering, energy, shipbuilding and international arbitration. She has built a reputation as a “fine advocate” with “a famed intellectual prowess” as referred to in the leading directories. As well as being “very bright, friendly and approachable”, “she gives sound, commercial advice” and is “utterly dependable and responsive”. 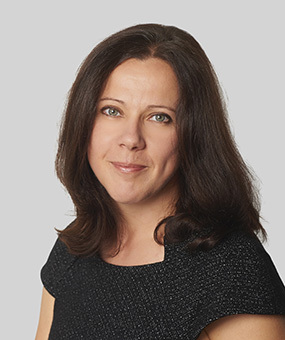 Jane enjoys a strong domestic and international practice and has extensive experience appearing in the UK Courts (TCC and Commercial Courts) and before arbitral Tribunals. Jane has represented clients in disputes under all major forms of international contracts including FIDIC, SAJ and NEC3, and acted as counsel in ICC and LCIA arbitrations. Jane has been involved in landmark cases, including litigation regarding the English National Football Stadium (Wembley). Jane’s recent experience includes an ICC arbitration surrounding the design and construction of a 127km section of road in Africa (FIDIC Yellow Book) involving delay, disruption and technical issues. Prior to that she was acting on a $300 million LCIA arbitration concerning the manufacture, transport and installation of one of the world’s largest offshore windfarms and an arbitration concerning a number of disputes on major infrastructure projects in Oman. Representing a local authority against an engineering contractor in an €85m claim involving a sewage disposal scheme in Ireland. Appearing as counsel for the employer in an A$70m action against the design engineers of a propane gas storage cavern in Sydney. Currently instructed by a large Dubai contractor on a multi million dollar claim against an Abu Dhabi employer concerning a major development in Kazakhstan. The dispute involves technical arguments relating to negligent design as well as claims for delay and additional costs. The contract provides for arbitration pursuant to the ADCCAC Arbitration Rules and is subject to Kazakh law. Currently instructed on a DIAC arbitration as counsel for the respondent developer of a hotel in Dubai in relation to a delay and disruption by a contractor. The contract is subject to UAE law. Currently instructed on an Oman arbitration for a claimant sub-contractor in relation to a delay and disruption claim made against a respondent main contractor. The dispute concerns a waste water treatment plant in Oman and the sub-contract is subject to Omani law. Kowloon. The claim is for delay and disruption and is subject to Hong Kong law. Recently instructed on a DIFC case by a respondent main contractor in relation to a dispute with a claimant construction manager. The case involved negligent advice given concerning the construction of a large tower in Saudi Arabia. The Consulting Agreement was subject to UAE law. The case settled in August 2015.
professional negligence claim involving the Sharjah Maritime Museum, UAE. ICC arbitration concerning a dispute surrounding the design and construction of a 127km section of road in Africa based on a FIDIC Yellow Book with delay, disruption and technical issues. Part of a team with 3 QCs in a $300 million LCIA arbitration concerning the manufacture, transport and installation of one of the biggest offshore windfarms in the world. Took sole responsibility for all delay, prolongation and disruption aspects of the case during the 5 week hearing. Advising and acting for Irish contractors in two arbitrations. The claims were total cost claims arising from delays and disruption to the construction of two sections of a major road and associated infrastructure works. Advising and preparing the claim in a multi-million dollar arbitration on behalf of a contractor for wrongful termination of a contract for the construction of site infrastructure works at a Residential Site in Trinidad. Acting for an Omani contractor in a 7 week arbitration concerning a road building project and associated utilities in Oman. Claims for prolongation and disruption costs. Acting for an Omani contractor in an arbitration concerning a number of contracts for road building projects in Oman and Yemen. Claims for prolongation and disruption costs. Advising and preparing claims for Spanish Contractors in an €80m claim in respect of the N6 motorway in Ireland. Claims for unforeseen ground conditions, additional works and delays. Representing an offshore deepwater drilling company in a dispute regarding delays in the construction and delivery of a sixth generation semi-submersible drilling rig. Representing a major international contractor against the Hong Kong Government in a £100m tunnelling dispute relating to the Hong Kong Strategic Sewage Disposal Scheme. Represented the owner in a dispute with regards to a ground improvement scheme at an operational wine warehouse (listed by The Lawyer as top TCC case of 2014). Instructed in a series of adjudications under an IChemE form of contract concerning the design and construction of a sewage treatment works. Appearing in a domestic arbitration for a major UK contractor in a £2m claim for defective work against a specialist steelworks sub-contractor. Acting for a designer in respect of a delay and disruption claim for in excess of £200 million in respect of a landmark London stadium. Appearing as counsel for Clerical Medical in a Claim for Declarations in the Technology and Construction Court in respect of their new headquarter building in Bristol. Acting for a major UK supermarket chain in the Technology and Construction Court in relation to claims arising from the Construction of a multi deck car park. Representing a homeowner in the Bankruptcy Court in relation to an application to set aside a statutory demand. The Court held that an adjudicator’s decision creates a debt that can form the basis of a statutory demand unless and until it is challenged successfully in court. Representing an American Engineering Contractor who specialise in the Construction of gas processing plants in a claim relating to a plant in Nigeria. Advising and representing in the High Court a specialist designer of interactive exhibitions in relation to a professional negligence claim involving the Sharjah Maritme Museum, UAE. professional negligence claim involving the Sharjah Martime Museum, UAE. Acted for the Contractor in the Technology and Construction Court in relation to a claim of £17m relating to a fire at a supermarket. Defended a firm of architects over claims (£15m) of negligent design of fire safety equipment following a fire at cold storage plant. Acted for a consulting engineer defending claims of negligent design arising from the construction of large steel sculpture erected in the United Kingdom. Acted for the suppliers of a segmental precast arch system defending claims of negligence following a collapse during back filling operations on a £20m tunnelling project. Representing a major international contractor in a £100m subsea tunnelling dispute relating to the Hong Kong Strategic Sewage Disposal Scheme. Representing an American Engineering Contractor who specialises in the construction of gas processing plants in a claim relating to a FPSO. Acting on behalf of a designer/manufacturer of marine electrical control systems in respect of a defects dispute which arose during the construction of a super yacht. Represented a ship builder in a High Court trial in respect of allegations of defects and delay in the construction of a number of war ships. Part of a team with 3 QCs in a $300m LCIA arbitration concerning the manufacture, transport and installation of one of the biggest offshore windfarms in the world. Took sole responsibility for all delay, prolongation and disruption aspects of the case during the 5 week hearing. the Hong Kong Strategic Sewage Disposal Scheme. Sources describe Jane Lemon QC as “real star of the Bar”, and credit her as “hard-working and imaginative”, adding that she “combines tenacity with charm”. "She has a great attention to detail and the ability to eek out the smallest advantage and capitalise on it." "Very commercial, frank and candid with clients and comfortable with procedural issues." "Extremely impressive depth of knowledge, with a pragmatic and commercial approach to complex construction issues." "Just a joy to work with. She is one of these people that can come up with an answer and she is adored by clients. Very good in advocacy, particularly in cross-examination." "Really user-friendly, responsive and a good strategist." "Very easy to work with, exceptionally hard-working and works well as part of a big legal team." "Practical and enthusiastic with excellent technical knowledge." Contributor, Keating on Construction Contracts, Tenth Edition (2016). Contributor, Keating on Offshore Construction and Marine Engineering Contracts – First Edition (2015). Contributor, Keating on Construction Contracts – Ninth Edition (2012). Contributor, Keating on Construction Contracts – Eighth Edition (2006). Editorial team, Keating on Building Contracts, Seventh Edition. Joint Author with Coulson J., Section on Architects, Engineers and Quantity Surveyors for Professional Negligence and Liability LLP, 2000. Jane enjoys spending time with her family and is an accomplished skier.